If you’re out of university and—like me—are too busy to take classes, then you’ll want to hear what I’m about to say: The Great Courses is having a very big sale, with many courses 70 percent off! And among the courses on sale are two by the brilliant Phillip Cary. Now, I hear you asking two questions: 1) What is The Great Courses? ; and 2) Who is Phillip Cary? First off, The Great Courses is exactly what it sounds like: a company that produces recordings of stimulating lectures by intelligent and engaging professors. If you want to study something but can’t commit to the schedules of a real class, this is for you: you can study courses in history, religion, literature, science, and many, many more subjects. To answer the second question, Phillip Cary is a professor at Eastern University with some serious theological credibility. An Anglican, he’s an expert on Augustine and a big proponent of Luther’s theology within wider evangelicalism (coincidentally, the two courses by him on sale at The Great Courses are his series on Augustine and his series on Luther). 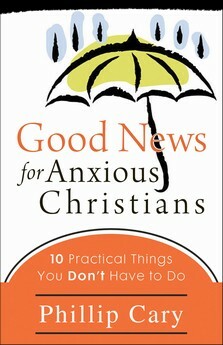 He wrote Good News for Anxious Christians: 10 Practical Things You Don’t Have to Do which is unquestionably the best popular-level Christian book I’ve read in recent years. In it, he provides a clear declaration of the Gospel and encourages Christians to look for their comfort not within (Do I have strong enough faith? How do I hear God’s voice in my heart?) but instead to the external promises of Christ in Scripture. Cary made a bit of a stir among Lutherans a few years back when he published an article entitled “Why Luther is not Quite Protestant: The Logic of Faith in a Sacramental Promise.” This was followed by an invitation to speak at the Symposium on the Lutheran Confessions at Concordia Theological Seminary (Fort Wayne, Indiana) in 2007 where he delivered the paper “Sola Fide: Luther and Calvin.” You can also find online his article “The Lutheran Codicil: From Augustine’s Grace to Luther’s Gospel” and an interview he gave for Issues, etc. 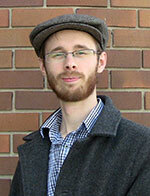 Among his books, you’ll find three critically acclaimed works on Augustine. In short, Phillip Cary is qualified to speak intelligently in matters of theology, particularly on Augustine and Luther. What’s more, he speaks engagingly; he’s even won awards for his teaching. Which is why you need to head over to The Great Courses right now. His course on Augustine (12 lectures long) is on sale for $16. His course on Luther (24 lectures) is on sale for $30. And, if you make the purchase by January 26, you can save an additional $10 by using the coupon code X64R. That’s 36 lectures for $36 bucks—a deal if I ever saw one. Some of you will be aware of Converge Magazine, a Vancouver-based magazine that tackles questions of faith and culture. If you haven’t picked up a copy yet, now’s the time to do so. The current issue features an article not only by me, but also one by my very good friend Karl Persson. Persson’s article “Depression and Faith in the Life of the (Post)Modern Church” (pp. 38-41) is the best thing I have ever read on the subject. He criticizes the two major approaches to depression visible in the Church today before suggesting a third way, better than the others. The first response to depression that he examines arises out of modernism, and basically ignores the problem. For these Christians, the Good News of salvation is so wonderful that they simply cannot conceive that a Christian could ever be sad again. Persson describes this response well: “Many churches… mistake the appearance of happiness for the truth of Christian joy, and so are not comfortable with Christians who disturb this appearance.” As a result, these Christians take the easy way out, and simply avoid the question altogether. They must either pretend depression does not exist or give up their idea that the Christian must always be happy and victorious over sin and sorrow. They are unwilling to give up that idea; and so they ignore depression. By contrast, the emergent movement and the postmodernism from which it arises is more than willing to talk about subjects like depression. But because it has abandoned the concept of “covenant “in favour of “honesty,” it lacks shared stories in which to interpret hurt. Evil and pain are recognized for what they are, but without the context of real community (with the church present and past through our shared history), it leads inevitably to cynicism. Depression is real for them, and its destructive power is absolute. Persson suggests we need to temper one approach with the other. Yes, we need to focus on the “happily ever after” that comes with faith in Christ; but we cannot ignore the very real pain at work in this world. The Church must embrace those that are hurting, and let them share vicariously in the joy of salvation even if they cannot feel such joy themselves. But I’ve written too much already. You simply must read the article; it’s incredibly important. The same issue of Converge Magazine includes an article by me entitled “The Man God Hasn’t Called You to Be: What the Christian masculinity movement keeps getting wrong” (pp. 32-33). I won’t bother to go into too much detail here, but let me summarize it in this way: for nearly a hundred and fifty years, the Church has embraced a concept of masculinity that glorifies battle and warfare. “If you are to be a real man,” we seem to say, “then you must be at your core a warrior.” I take that idea head-on in this article, suggesting it has more to do with our wider culture’s aggressive understanding of masculinity than with the biblical witness. We are not called to be warriors, I argue; instead, like Adam before us, we are called to be gardeners. Consider it a declaration of war on warrior-masculinity. Ever wish there was a magazine that addressed issues of faith and culture but didn’t come off as ultra fabricated and cheesy? Well Converge magazine just might be your answer. We’re a faith based magazine for young people in their 20′s and 30′s. Our magazine comes out six times a year covers everything from relationships, to career, to arts and culture topics. Deep thinking; real faith. Two things that far too often fail to appear together. Best thing of all? It’s only $12 a year. Check out the website here and subscribe now. Captain Thin is powered by	WordPress 5.0.4 and delivered to you in 0.366 seconds using 31 queries.